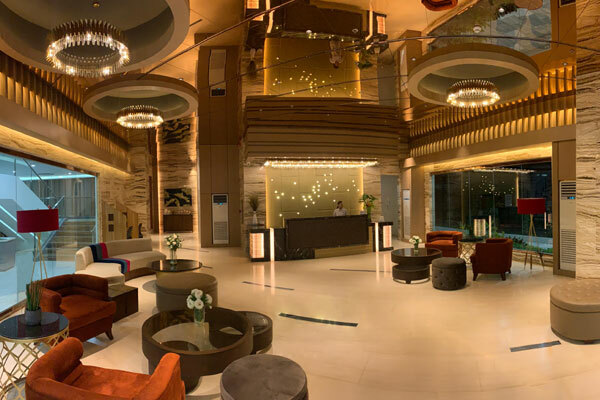 Best Western Hotels & Resorts recently celebrated the opening of its latest hotel in the Philippines. This new hotel welcomed its first guests on March 15, introducing a new era of international midscale hospitality to this popular destination. Integrated into the Saver’s Mall and surrounded by major attractions, including the Pagcor casino, Best Western Hotel Metro Clark is perfectly suited to all types of travellers. Guests are welcomed with a large and inviting lobby, featuring lounge seating and direct access to the mall. This sense of space and connectivity continues throughout the 85 guest rooms and suites. The rooms blend contemporary comfort with cutting-edge facilities, including glass-enclosed bathrooms with refreshing rain showers, large TVs with international channels, working desks with integrated power outlets, and complimentary wi-fi. Guests can cool off in the dramatic outdoor infinity pool, which overlooks the city, or workout in the fitness centre. The hotel’s bright restaurant features large floor-to-ceiling windows and serves daily breakfast and an all-day à la carte menu, including local, Asian and international dishes. Business services are also available. Best Western Hotel Metro Clark was developed by J.A.D. Saver’s Development Company, Inc., a leading Filipino real estate group. “As a Special Economic Zone, the entire Clark Freeport area is experiencing a development boom, with exciting theme parks, shopping malls and attractions designed to suit all ages. This status is also attracting significant business investment. Best Western’s modern midscale concept and warm Filipino service will ensure all guests stay in comfort and style, at a very reasonable price point,” Berrivin added. With Clark International Airport less than 10km away, Angeles City is now directly connected to many of the world’s most dynamic cities, including Hong Kong, Singapore, Seoul, Shanghai, Taipei and even Dubai. Manila is also less than two hours’ drive from the hotel. Visitors to Angeles City have many world-class family attractions to choose from, such as Aqua Planet, Zoocobia and Dinosaurs Island, which features a 7-D “Super Screen” cinema. Shoppers also have a wealth of retail opportunities including the Saver's Mall, SM City Clark and a series of duty-free centres, while golfers can tee-off on a choice of world-class courses, including the 36-hole Mimosa Golf & Country Club and spectacular Clark Sun Valley Country Club. Clark International Speedway offers adrenaline-fueled fun, while more relaxing activities can be enjoyed at the area’s spas and hot springs.